The August POetry POstcard Fest (PoPo, some would have it) is over for 2018. The countdown clock is counting down the time until registration OPENS for APPF13 (2019), July 4, 2019, at 12:01am PDT. Potential participants are urged to register early. Registration lasts 14 days and no late registration attempts will be accepted. 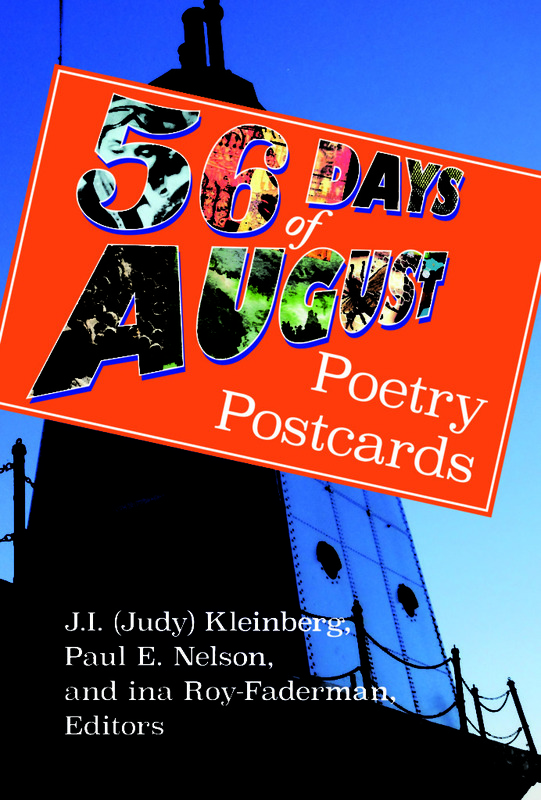 The Fest was initiated in 2007 by poets Paul Nelson and Lana Ayers and involves people signing up to send 31 original poems on postcards to folks on their list before the end of August. It is the biggest annual fundraiser for SPLAB. In 2018 there were 293 participants from 7 countries and 31 states/provinces. 1. Obtain or make at least 31 postcards, one for each August day. Some people make their cards. Many places (like this) can turn your pictures into cards, as can any decent print shop. Make sure you print on decent card stock. 3. Once you get your list, start writing original poems directly (1st take) onto postcards addressed to the names below you on the list of poets. (If you are #8 on the list, start with #9 and proceed from there.) Just like you’d write a typical postcard, only this one is a poem and linked to the epistle form, as you are writing TO someone. The idea is to practice spontaneity, that is write directly on the card in one take. If it’s hard at the start of the fest to do that, relax, because it gets better as the month goes on, no one can publish your poem without your permission and you are writing to ONE PERSON. Review the links below for guidance ESPECIALLY the sending postcards to strangers blog post by David Sherman, the Ina Roy-Faderman testimonial and Linda Crosfield’s 7.14.16 blog post. Remember Allen Ginsberg’s paraphrase of the Blake quite: “Abstractions and Generalizations are the plea of the hypocrite, knave and scoundrel.” Or as Ezra Pound said: “Abstractions must be earned.” Really. 4. Once you have written cards to all poets below your name on your list, continue to the top of the list. Ideally you’ll be incorporating themes, tones or motifs from cards you have received. 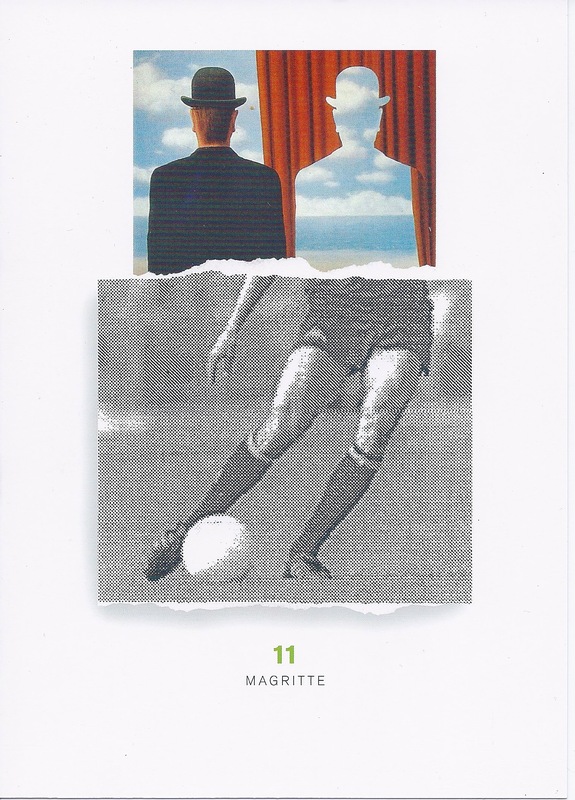 If you do not get cards from participants right away, or are not inspired by them, no problem, but do write at least 31 postcard poems if you sign up. 5. DON’T POST YOUR OWN POEMS ONLINE UNTIL A MONTH AFTER YOU SEND THEM. Also, do not publish anyone else’s poem without their permission. I always archive mine and often post them online. Having a scanner helps to archive the image perfectly and scanners are now $100. Or you could take a photo of the image (or scan it) with your cellphone. Do realize if you are sending a card abroad, it may take longer than a month. Do not disclose any participant’s address online. 6. 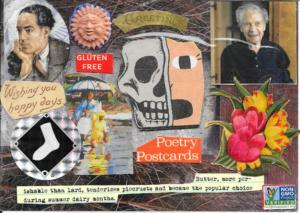 There is a Facebook page for the postcard fest but please, during the fest let the cards speak for themselves. Once September starts, anything is fair game except spam. You might want to write after the fest about your experience. And NEVER spam the list about any product or service. That includes your books. 7. There is a small fee to administer the fest. (Approximately $10.00 U.S. and a service charge. It allows us to answer all correspondence quickly and focus attention on making the fest the best experience for everyone. I want to be a resource for you especially if you are trying to make the shift from relentless editing to learning how to develop trust for your instincts. This is the force behind the fest and, I think, the reason that it has grown in popularity over the years. There are also costs to maintaining the email list (Mailchimp, &c.) and to maintaining the website (host fees, domain registration &c.) that allow the fest to happen in the best way. This is a fundraiser for SPLAB and provides enough for us to pay basic bills. Additional contributions are welcome. The 2018 Call is archived here. We send out an average of two emails a week from this blog and www.splab.org, the literary arts-oriented non-profit org founded in 1993. Amy Miller’s 2016 Fest Wrap-up. 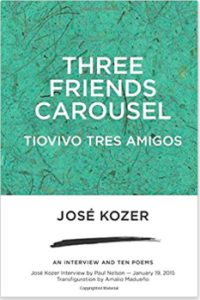 Judy Kleinberg’s 2014 fest summary with links to other participant blogs. I have been participating in August Postcard Poetry for about five years, I think, and today, January 25 I received a postcard poem in the mail from someone who apparently decided to send to everyone on the list. Unfortunately I no longer have the entire list, so have no way of possibly discovering the brave writer from Buffalo, NY who decided to write a card every single day. I’m inspired. 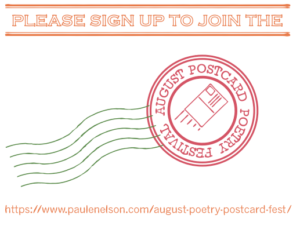 How do you subscribe to the August Postcard Poetry Fest? Thanks for organizing this poetry postcard fest! It’s really been energizing and organizing my artistic practice. I gave you a shout out on my website to help with spreading the word! Hi! This is my first time in the poetry Fest. I am enjoying receiving all the unique postcards. I got about 24 so far. Thanks to all who participated and I hope everyone enjoyed mine! 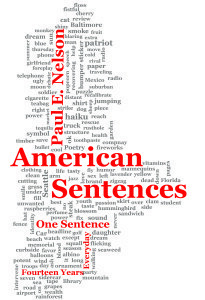 Oh Paul, it’s great to write spontaneously for sure! In 2013, a great year. 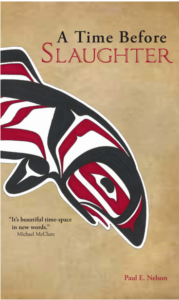 But in 2014, 32 poems developed their own path and brought their own torches, resulting in Spider Lace, Dragonfly Mind, published in December 2014, available on amazon. I say this because it is possible to think consistently and not revise a single line for a whole month, have the disparate souls of poems develop a coherent whole, and find a way into print. Marvelous. I’ll be there this year. Paul. I went to sign up and pay my ten buck but the link says cannot pay til Jul 4….when the Call opens. It’s not really clear on this page despite the urging to “get in early” that “early means not before July 4 2015.” Thanks for all you do to make this happen. Was wondering where the $10 is going, since, given last year’s average participation, might total $2500 or more. Dear Paul, I will not be able to write poems this year at the postcard contest, but I wish you and your fabulous endeavor the best. Write to me next year! I appreciate your hard work and dedication to the Fest. I look forward to it each year! 1) I think the $10 charge is very reasonable and necessary. As a long time participant, each year the number of truly committed souls on the list has declined – people sign up because they love receiving the postcards, but sometimes their personal commitment doesn’t exist.. However, most people who pay are going to follow through. 2) I know of two people locally who want to participate, but are leery about the sign-up process. Is it possible to sign them up and pay for them at the same time I sign up? 3) I often mail postcards throughout the year to others on the list. (I wasn’t able to last year due to health issues.) Is it possible at some point to receive a complete list of participants? I would even be willing to pay. Bridget! Thanks for doing the fest yet again! I’m in for 2015. I love the writing experience – the necessity of getting out of your own way and just allowing the words to fall out onto the cards. 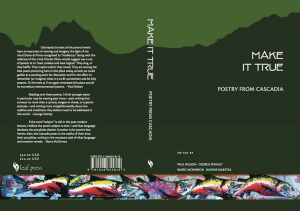 It is my hope to do a chapbook in 2016 of some of the poems. Thanks for all you do! Bless you Marge. Thanks for your continued participation. We’ll be in the same group this year!! Paul, thank you for the invitation. This will be year three for me. Thank you Amanda for opening the floodgate by your invitation! First year was somewhat arduous, last year was a wonderful experience culminating in a chapbook, and I am looking forward to this year without expectation but a smile on my face. Thank you for encouraging us worldwide–as John Kennedy said, the world would be a different place if we had more poets, more poetry. I just signed up. This will be my 2nd time. It does say the tickets will be held at Will Call. In any case, I am looking forward once again. Thanks so much! I’m a little confused about the direction, “You may start writing poems now.” Shouldn’t we wait until the 27th or so before sending out the first cards so they start arriving in August? Silly question-we sign them, yes? I think that’s a good idea. I usually sign, or put initials if I did not leave room. Read this person’s question ” Is it possible at some point to receive a complete list of participants? I would even be willing to pay”. Your response was “of course”. That’s an example of why I no longer join the August poetry fest. Brendon emailed me a few years ago, said the entire list of poets and their mailing address was sent because it was easier for him. I preferred the list of 31 poets, etc. because privacy has it’s virtues. 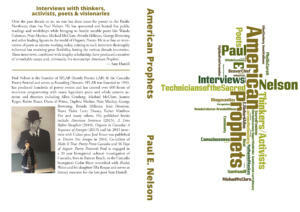 I’ll pay your $10 fee, if you make the lists limited to 31 poets/addresses. Let me know. Did you read the third paragraph of the page on which you commented? I very well could be an idiot, but, after registering, where do I go to find my name on “the list”? Just found out about this awesome fest! I’m always amazed by people’s creativity. I think I understand the process, but am wondering why the differentiation between the “first three” postcards to those below your name and the rest of the list? Thanks! Send three to start. Hopefully you’ll be getting some within a few days after that to inspire you on to the other cards you’ll send during the fest. Thanks for your interest in the fest. I’m not cheating! Just anticipating. 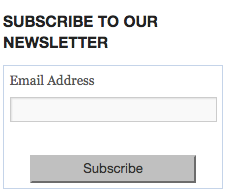 Maybe the blanks that seem to be for the newsletter are for the actual sign-up — and that’s why it says “cheating,huh?” when I try to get the newsletter? But thanks as ever for running this grand endeavor!